Who set his own shirt on fire to cure a bout of hiccups? What experience did John Betjeman describe as like “being lifted up to heaven”? Where can you pet a llama, go down a mine, sing in an old-time music hall or stand with one leg in England and one leg in Wales? When was Shropshire a coral reef in a tropical sea? Why did weeping Victorian tourists flock to a ‘grave’ in Tong? Find the answers to all these questions and more in Slow Travel: Shropshire, published by Bradt Travel Guides to a very positive reception in February this year. Between now and the end of November 2016, I’m taking orders for signed copies – the ideal Christmas present for anyone who loves Shropshire already, or who deserves to be let in on the secrets of this quietly beautiful, unjustly overlooked, historically imp ortant county. Get your signed copy directly from me, the author, for only £12 (RRP £12.99) plus £2.30 P&P*. Just send me a message with your details: I’ll forward you a link for instant payment and get the book to you right away, with the handwritten sentiment of your choice inside. Please hurry, though, as I have only limited stock. This offer will end on Wednesday 30 November. Read what people have been saying about the book. *Price for UK second-class postage. Please let me know in your message if you’re overseas or need it sooner than a second-class service can deliver. 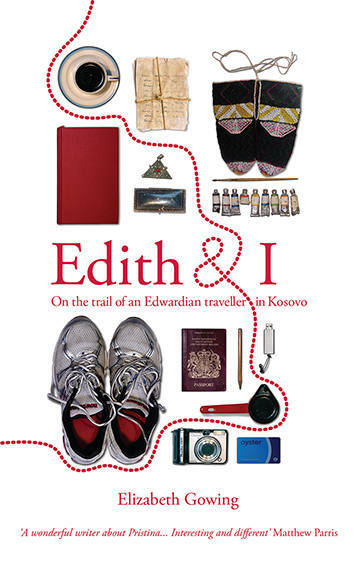 My book for Bradt Travel Guides is available to buy now in online bookshops and some of the best real-life mainstream and indie ones too (cover price is £12.99). The book came out two days before my second baby so I’ve been very busy (and awake) ever since. You’ll also find lots of extra content at the Bradt website. 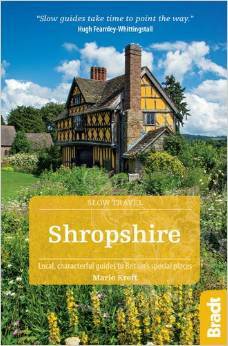 Slow Travel: Shropshire will be published by Bradt Travel Guides in February 2016. Available for pre-order now. I’ve got a feature in August 2013’s special coastal edition of Real Family Travel, the brilliant iPad magazine based in the US. My piece is on five magical things to do with your family in Norfolk, England. You can subscribe to the magazine via realfamilytravel.com or download a PDF of my article here. For my birthday in October Steve booked us a week’s holiday in a cottage in a rural French village called Tortefontaine, just over an hour’s drive from the ferry terminal at Calais. Until then, the very name Calais conjured up for me memories of a miserable booze cruise, drizzle, catching a cold, and more drizzle. The only reason I’d known I was in France: the service-station waiter had picked his nose over congealed frites rather than soggy chips. But in Steve I trust and, sure enough, I found the Pas-de-Calais region charming. Farmyards clomped across by mamies in wellies and hitched-up skirts, fallow autumn fields stretched out as invitingly as picnic blankets, and hamlets watched over by models of Jesus on a crucifix. It was definitely not England and yet it felt like a cheat’s holiday; so easy to reach even with a little man in tow. The driving was laidback, with few other motorists around. The ferry crossing had been smooth. We waved at seagulls and Vincent clucked at passing women until they dutifully admired his fluffy hair and two teeth. I don’t know when to break it to him that girls will not always be so readily impressed, especially not chic European ones. Primrose Cottage was cosy, pretty and immaculately clean. Apart from a washing machine (holidays are too precious to spend in launderettes, I think), the only amenity I missed was a bath. Showering with an eight-month-old in your arms is like trying to shower while holding a slippery pike. A screeching, red, 19lb pike with kicking legs. We didn’t need the baby monitor because we could hear every shuffle and snuffle Vincent made upstairs in his cot. The downside was that he could hear Steve and me too, scoffing crisps and drinking wine after he’d gone to bed. We watched subtitled films so we could keep the volume low; two of my favourite films of the past few years happen to be French (I’ve Loved You So Long and Tell No One) so this didn’t feel like doing homework on holiday. The nearest commune (official town) to Tortefontaine is Hesdin (pronounced Ey-dan), with its Renaissance-style grand town hall, Thursday market and dusty bistros made stuffy from bar to bidet by old men in flat caps and corduroys. One of whom had the cheek to approach Steve while feeding Vincent his bottle and mime an embarrassingly graphic enquiry as to why I wasn’t breastfeeding. There was an inviting-looking frite van in the central square (Place d’Armes) but to Steve’s disappointment we never managed to be there when it was open. We made day trips to the graceful walled town of Montreuil-sur-Mer (ten miles inland, despite its name) and the seaside resorts of Le Touquet and Berck which, even when wind-blown in the autumn and empty of tourists, retained a certain elegance thanks to soft expanses of beach and wide avenues lined with chocolate shops, icecream parlours and upmarket bars. Café Leffe in Le Touquet was especially baby-friendly; while Steve tucked into a bowl of mussels steamed in white wine and I tore chunks from my woodfired pizza, the waiter entertained Vincent with funny faces and, unprompted, washed up his bowl, spoon and bib at the end of our dinner. During this holiday I became a lot less precious about making all of Vincent’s meals from scratch. Ready-made baby food felt easier and safer to serve during long days out and – amusingly – he preferred much of it to my cooking. While returning from Le Touquet we got stuck down a narrow farm track in soupe de fog. It would have felt like an adventure but, with a tired baby in the back of the car and less than a hand’s span of visibility out the front, I got nervous. I felt guilty. We crawled for over 40 minutes until two combine harvesters emerged from the gloom and flooded the night with light, unintentionally escorting us almost all the way to Primrose Cottage. We also visited Lille, just under two hours’ drive away, where classy shops and patisserie windows piled rainbow-high with shiny macaroons temporarily sated my yen to return to Paris. I couldn’t resist buying Vincent a soft bowling set shaped like the trippy Barbapapa characters I’d loved as a tot, although I’ve hidden them away until he passes this current stage of gnawing everything he lays his hands on. Barbapapa, Barbamama and their brightly coloured Barbababies do look especially tasty. More age-appropriate for now is Sophie la Girafe, that famous teething toy whom I picked up in Carrefour for only eight euros. I suspect she will be chewed and squeaked and loved long after her spots have rubbed off. In Lille we found a great place to eat: Chez la Vieille with its earthy cooking aromas and provincial cluttered decor served the local speciality that Steve had been hankering after: Carbonnade à la Flamande or beef cooked in Flemish beer and gingerbread. I ate a tart made with Maroilles, the local cows’ milk cheese that reeked like dog poo when we’d bought it ourselves but was transformed here into a pungent, rich warm flan filling. Vincent tried – and dropped – his first frite. The manager had been fast to find him a highchair and us a space to park his buggy in the cramped bar. Nord Pas-de-Calais isn’t blessed with the sunshine and vineyards of southern France, it’s true, but its clean white sands, genteel towns and hearty, Flemish-inspired food and beer left me puzzled as to why so many Brits zoom through it en route to better-known destinations. If you have a little one and fancy holidaying overseas without flying or undertaking a painfully long drive, I definitely recommend a week of cheating.